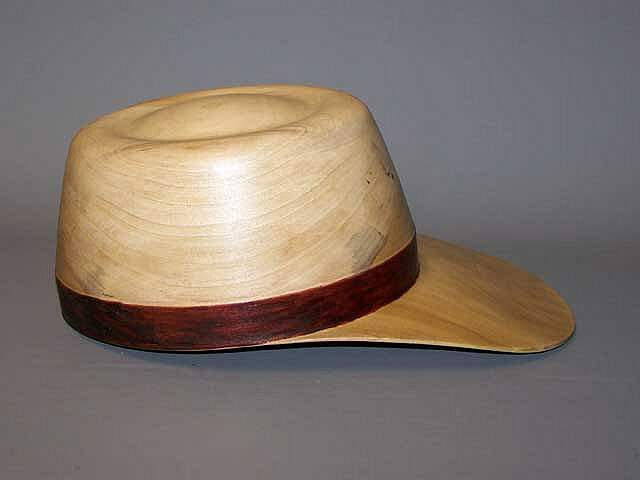 These unique and lightweight turned wooden hats with burnished hatband are wearable as well as decorative. 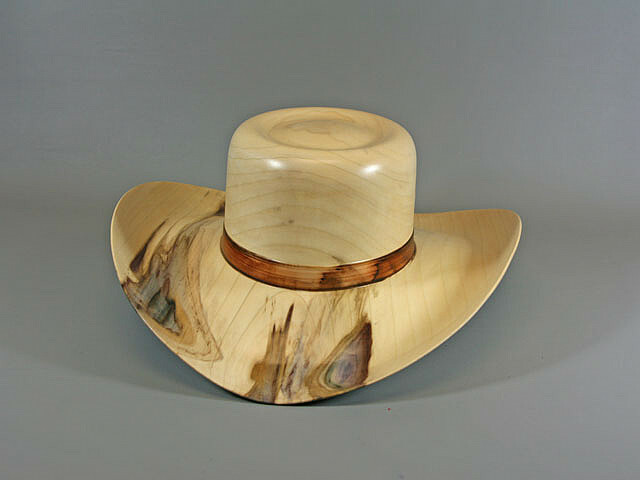 Turned from one large block of fresh cut wood, these hats are custom shaped as the wood dries naturally. 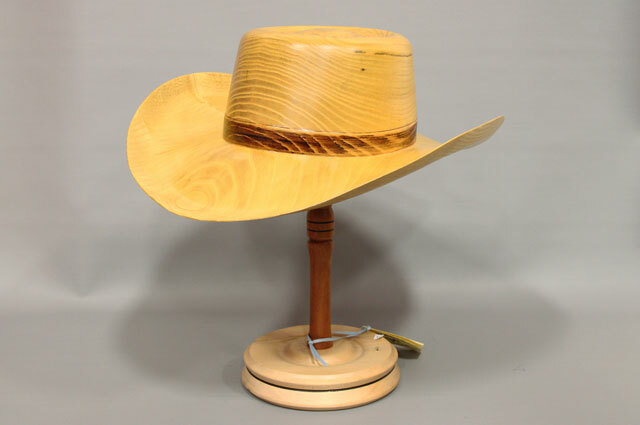 Finally, they are sanded and finished with a durable lacquer coating. They are truly an amazing conversation piece! 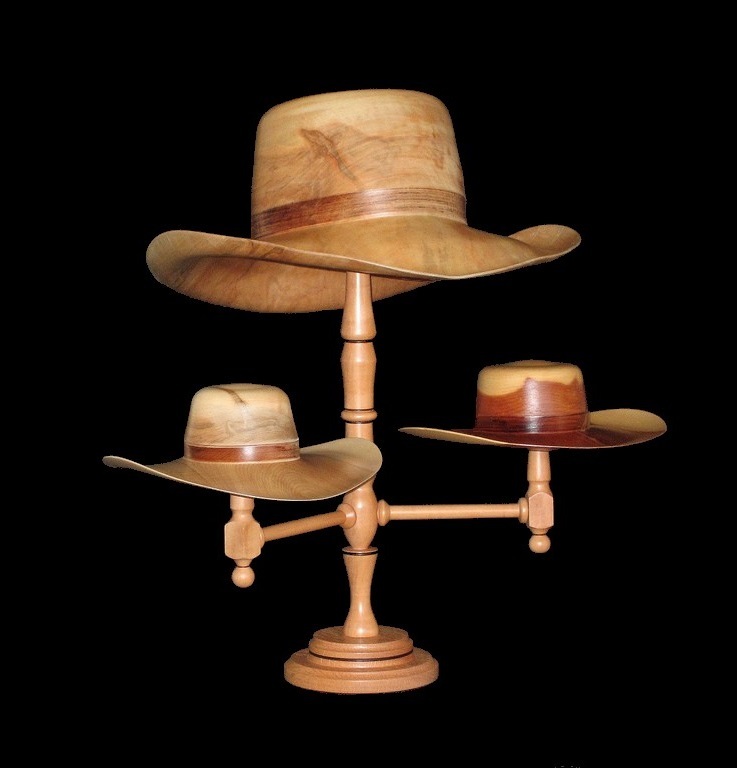 All wooden hats come complete with a custom hat stand, making for a handsome display in your home or office. 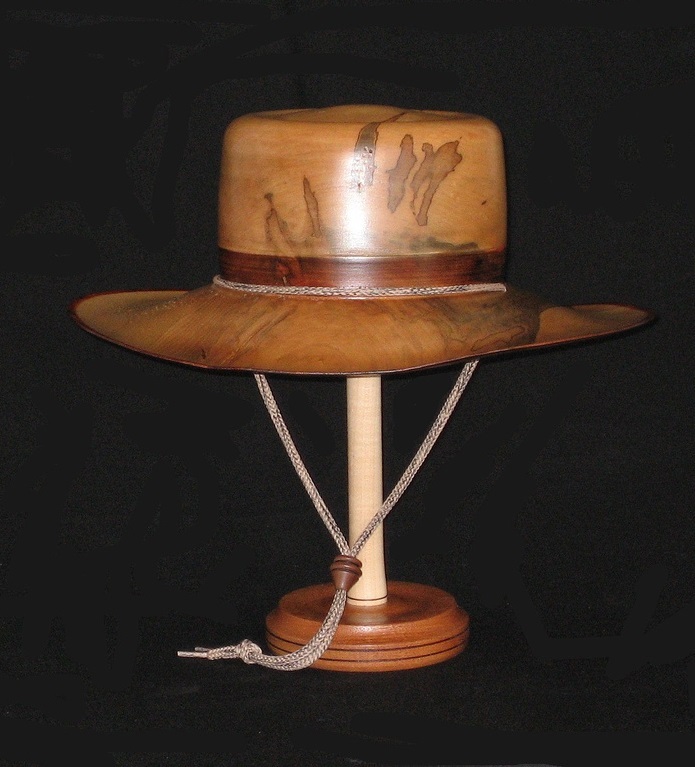 Miniature models are also available in various styles and woods.